Here is a hotel has stood the test of time. Literally. It's almost 140 years old, and any building that remains upright for a century and a half in Nuwara Eliya's fierce winds deserves kudos. Ah, but it all makes sense when you read that it was built by Scots. If anybody should know how to erect a windproof structure, it's probably them. 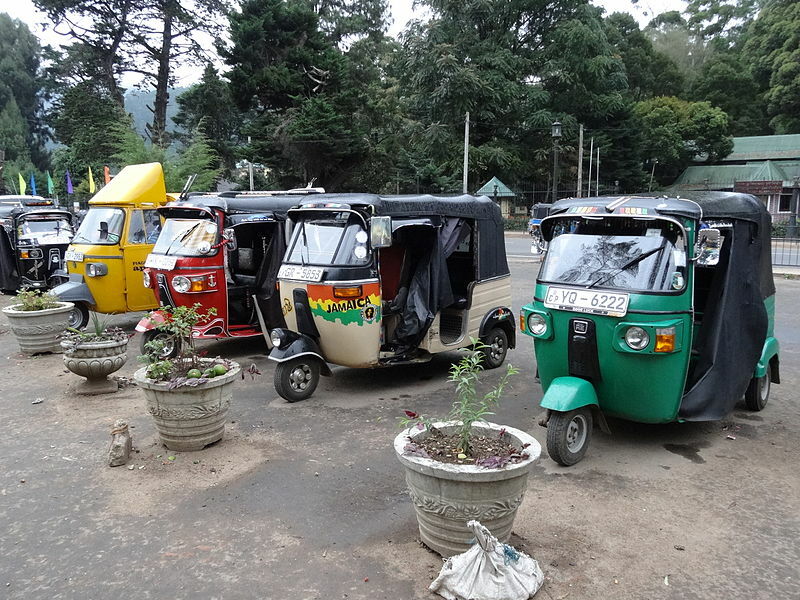 As a tropical destination, Nuwara Eliya is just plain weird. We visited in July, which is, in fairness, supposed to be the windiest time of year. Still, you don't expect to come to somewhere quite so equatorial and find a place so squally, blustery and, frankly, chilly. 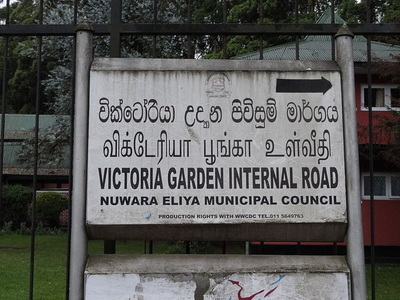 This place is the epicentre of Sri Lanka's world-famous tea industry, and I had naively assumed that the reason tea was grown in these latitudes would have something to do with warmth that couldn't be found in the land British colonial tea barons of yore called home. Apparently not, since said barons climbed more than a mile above sea level to set up their plantations in conditions that would not have been unfamiliar to those that tea fiend Sir Thomas Lipton would have experienced growing up in Glasgow. But anyway. 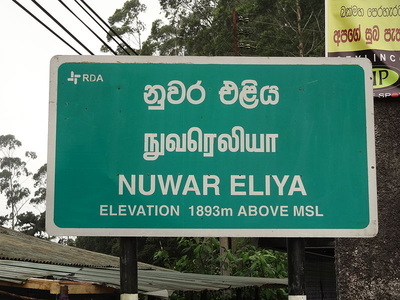 Nuwara Eliya. Much is made of the colonial feeling you get when you're in this town. Yes, there's a rambling golf club, one of only a handful in Sri Lanka. And there's an immaculate botanical garden. And they even have turf horse racing. Yet it's got something of the rough-and-tumble about it as well: betting shops, liquor stores and an air of quiet desperation in the streets as the wind pummels the pavements. Though it is essentially as friendly as anywhere else in this magnificently warm-hearted country, there's a sense that life is hard here. It feels like a frontier town, which is what it is. It doesn't straddle any land border, but rather the divide between earth and sky. Nowhere have I seen clouds skid across the heavens in such a frenzy. It's striking because they're so close, even in the valley in which the town sits. One day I take a bus ride away from the town, climbing even higher, jumping off among what turn out to be the endless hedgerows of the Pedro tea estate. There, lying on a tea bush (they're surprisingly supportive), I feel I can reach up and touch those clouds. I train my camera on a patch of sky, counting to five between each shutter release. Each photo comes out completely different. It's exhilarating up here. You feel in the palm of nature's hand. One moment the sun's out, bathing the tea leaves in that golden light that photographers use to make you think it's warm up here. The next, bad-tempered clouds have tumbled in again, and you think this time it's rain. But it never comes. The light changes so fast that camera settings need re-jigging before you even find focus. I meander through the neat but deserted hedgerows, but meet no-one. Clearly it's not a picking day. Eventually I must come down off the hillside, and the track leads me to someone's back garden. It's a vegetable patch, really, outside a plantation worker's humble home and next door to a small Tamil temple that's getting a refurb. There's hoeing going on here. I gesture my desire to pass through to the road, and they wave me in. Sheepishly I clamber off the slope and walk through their yard. They stare at me like I'm a space invader. But I feel glad to have made my own way, not herded along on an official plantation tour. Then I wave down a bus to take me back to town and St Andrew's. I will never think about my morning tea in the same way, for today I feel I've found its essence and encountered its soul. The countryside will do that to you. 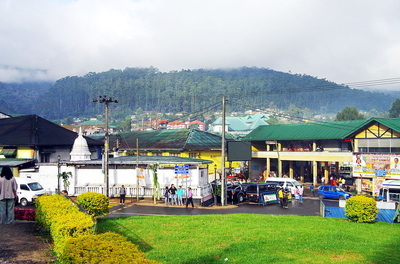 Back in the less tranquil surrounds of Nuwara Eliya, I stop at a Tamil religious procession. I'm offered fruit - how polite! Just a couple of hours earlier, the Buddhists were also marching through the town. And before that, I happened across a Lanka-style Catholic wedding. There's a mosque, too, and while things haven't always a bed of roses here, it's a far cry from Belfast in marching season. 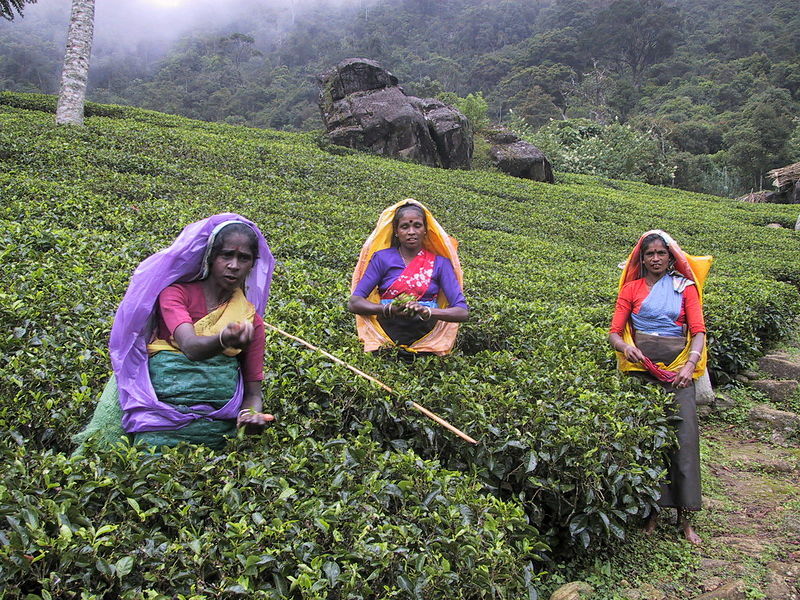 There's a lot the world can learn from Sri Lanka. Speaking of roses, stepping into the colourful front garden at St Andrew's is like stepping back in time. It's manicured and mowed and the hedges are tightly trimmed. It's all very English country garden. Pity about the weather, but if they're going for a 'little slice of Britain' then I suppose the drizzle is fitting. 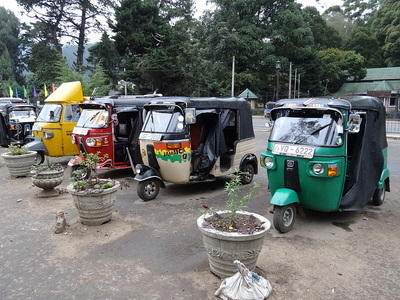 After all, this town's tuk-tuks have curtains to keep the wind out. I've seen hoodies, headscarves and even balaclavas. Sticky Colombo it most certainly is not. St Andrew's itself is an experience that rather sums up the whole business of travelling in Sri Lanka. By Western standards it doesn't provide jaw-dropping luxury. It is overstaffed, yet service can be slow. However, you are getting an experience for your money here. 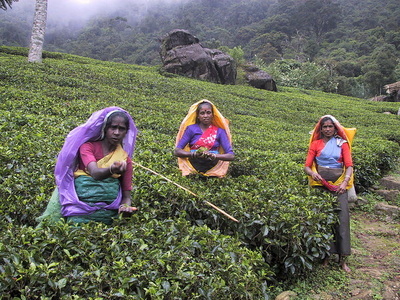 As with everywhere we stayed, you are staying with Sri Lankans rather than being served by them. Everyone wants to chat. This is not for everyone, but it's a constant theme wherever we go. Where else would you sit in a deserted lounge and watch TV cricket with the hotel manager and staff, talking about frogs? Yes, St Andrew's scores highly for frog-watching. The hotel has a little wetland area out back, and the resident naturalist Ishandra takes me on one of his guided nocturnal frog-spotting tours. 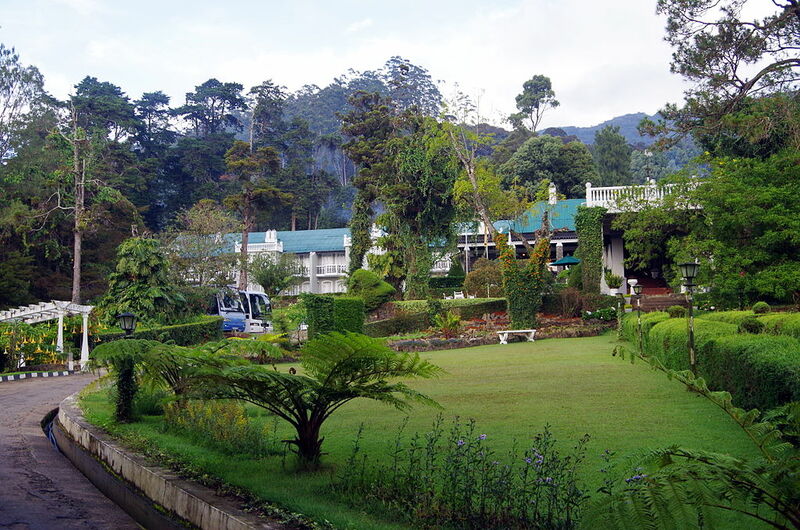 Nuwara Eliya's frogs are small, and you have to know where to look for them. Under a full moon we pass out of the back gate onto a path that leads along a stream and into the forest. We find heaps more of the moisture-loving critters on a damp, mossy wall that follows the path. Centipedes and snails, too. This is a long way down the list of things I would have thought of doing myself, which is what makes it interesting. Too often we forget our little friends in nature, chasing the big furry ones as is our wont. 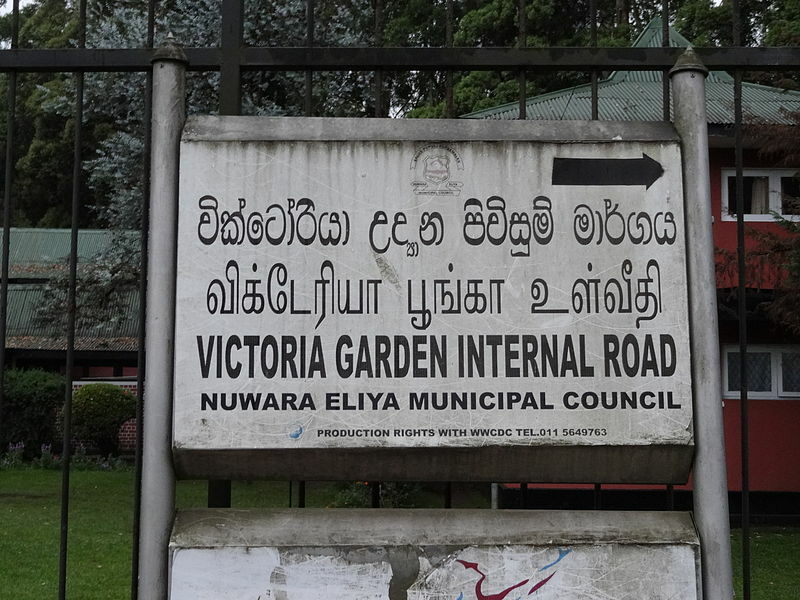 If the town itself isn't as colonial as it's cracked up to be, the hotel is exactly where you need to come to get that lording-it-over-your-estate sensation. It sits on a slope at one end of town, just above a far-flung corner of the golf club. The whole of the downstairs is more social club than hotel, which is exactly how this place started life. Where better to sip a gin and tonic by a roaring log fire? I don't even like G&T, but I feel obliged. There’s a reading library. And there's a billiards room that will definitely transport you back to a Victorian gentleman's club in London. All faintly ridiculous, but it's thoroughly authentic. Right down to the decidedly old smell of the hallways. The staff are sweet, almost overwhelmingly eager to please, which rather sums up Sri Lanka as a nation. You cannot find fault with that. They don't always succeed when it comes to communicating with each other, or understanding the peculiar Western way of everyone ordering their own food portions. Some guests might find their patience tested, but again, pretending it's the slow-paced 1890s is a great coping mechanism. Richard was a guest of St Andrew's Hotel.